UMC offers a wide range of Double Bitts for any deck application. 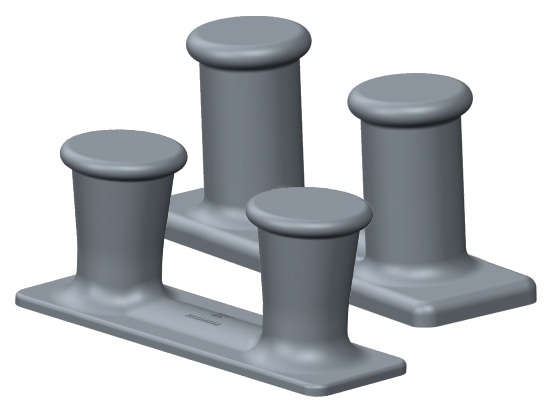 Sizes start with a minimum bollard diameter of 6” weighing 150lbs up to a bollard diameter of 14” weighing nearly 1600lbs. Our Double Bitts are made from ASTM A27 cast steel and are built to withstand the toughest conditions. Our 8”, 10” and 12″ models are also available with horns.